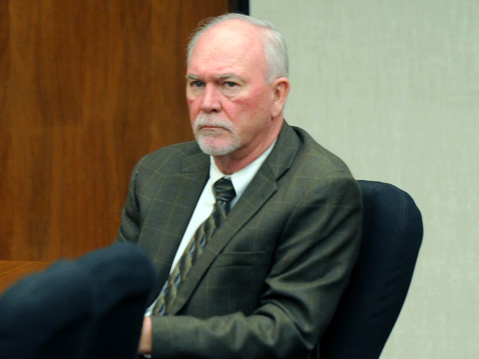 Allusions and acronyms were the clearest victors on Tuesday when Goleta city leaders Michael Bennett and Jim Farr sparred with the county’s Auditor-Controller Bob Geis (pictured) and Fire Chief Michael Dyer over the city’s controversial tax-sharing deal with the county. Hosted by the Santa Barbara County Taxpayers Association and held at the Hotel Corque in Solvang, Tuesday’s debate marked the latest installment in the City of Goleta’s attempts to draw attention to its revenue-neutrality agreement (RNA) with the county, a permanent contract that city officials have recently vowed to fight in the hopes of amending it or ending it altogether. Councilmember Farr, who has made dissolving the deal his top priority, used the phrases “bitter pill” and “poison apple” to describe how the RNA came to be ​— ​after being approved by the Local Agency Formation Commission (LAFCO), it was tied to the vote for Goleta cityhood in 2001 ​— ​and likened the city’s ongoing showdown with the county over axing it to a “classic David and Goliath” battle. Mayor Bennett called the RNA a “monster,” given its perpetuity, which no other RNAs in California have. “There are a lot of things we don’t do,” Bennett said, referring to how city officials have said that the $80 million-plus the city has shared with the county in property taxes, sales taxes, and hotel bed taxes under the RNA ​— ​which came from a statewide law implemented in 1993 to prevent counties from suddenly losing money when cities incorporate ​— ​could have been used by Goleta to update its traffic grid, build a civic center, and institute a parks and recreation department, among other things. The city has called it unfair for the county, with an $850 million budget, to take millions from the city, with a $20 million budget, every year.